See Removing the Battery Pack on page 56. 2. See Removing the Lower Cover on page 60. 3. See Removing the Heatsink Fan Module on page 74. 4. See Removing the CPU and VGA Heatsink Module on page 75. 5. 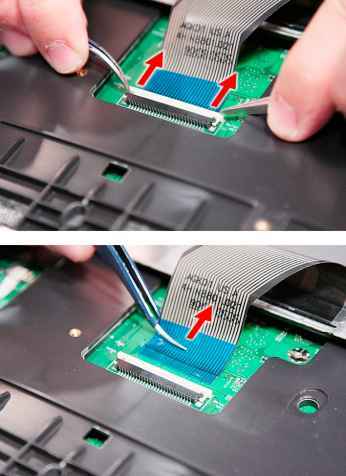 Using a flat screwdriver, turn the CPU socket latch counter-clockwise to release the CPU. 6. Lift up carefully to remove the CPU. 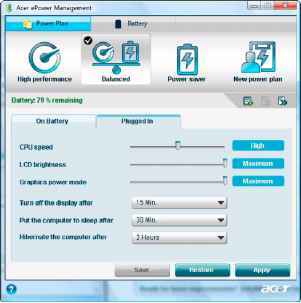 NOTE When installing the CPU, make sure to install the CPU with PIN 1 at the corner as shown. See Removing the Battery Pack on page 56. 2. See Removing the Lower Cover on page 60. 3. See Removing the Heatsink Fan Module on page 74. 4. See Removing the CPU and VGA Heatsink Module on page 75. 5. Remove the two screws (A) securing the VGA board to the main board. 6. Remove the VGA board from the main board. 6. Remove the VGA board from the main board. See Removing the Battery Pack on page 56. 2. See Removing the Expansion Slots Cover on page 65. 3. See Removing the 3G Board Module on page 66. 4. 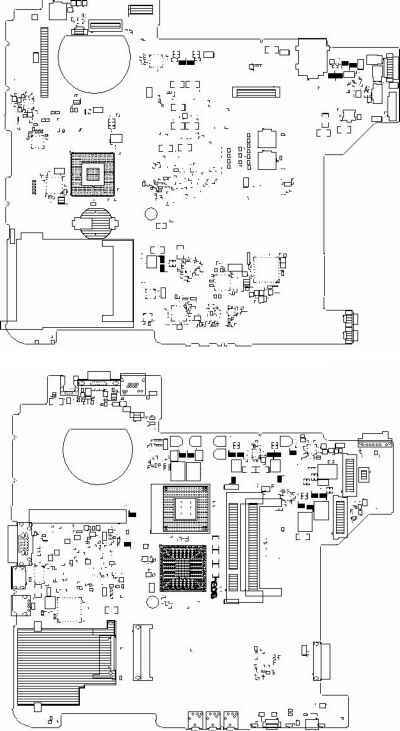 See Removing the WLAN Board Module on page 68. 5. See Removing the Middle Cover on page 72. 6. See Removing the LCD Module on page 78. 7. 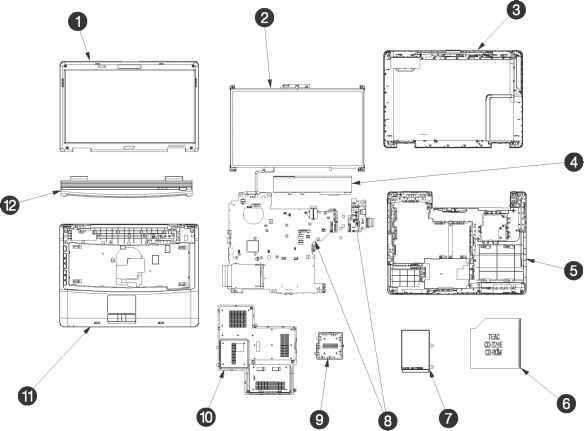 See Removing the LCD Panel with the Brackets on page 100. 8. See Removing the Inverter Board and FPC Cable on page 101. 9. Remove the four screws (D) securing the left and right LCD brackets to remove the brackets. See Removing the Battery Pack on page 56. 2. 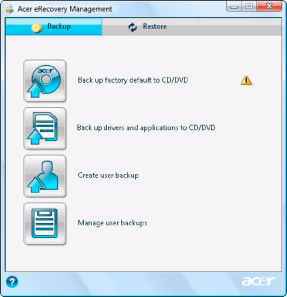 Slide the Acer MediaBay release latch to the unlock position 1 and slide out the optical drive module out of the bay 2 . 2. 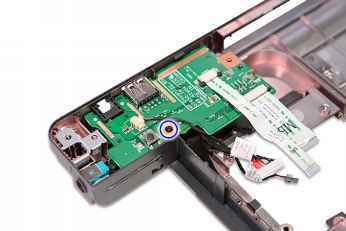 Slide the Acer MediaBay release latch to the unlock position 1 and slide out the optical drive module out of the bay 2 . 3. Remove the three screws A x 1, B x 2 securing the locker bracket and remove the locker bracket from the optical disk drive module. See Removing the Battery Pack on page 56. Remove the three captive screws and four screws C securing the lower cover. 3. Use a plastic screw driver to carefully pry open the lower cover. 3. Use a plastic screw driver to carefully pry open the lower cover. 4. Remove the lower cover from the lower case. See Removing the Battery Pack on page 56. 2. See Removing the Expansion Slots Cover on page 65. Disconnect the antenna cables from the 3G board. NOTE There are 2 antenna cables connected to the 3G board. The Green antenna cable is connected to MAIN connector and the Blue antenna cable is connected to AUX connector. 4. 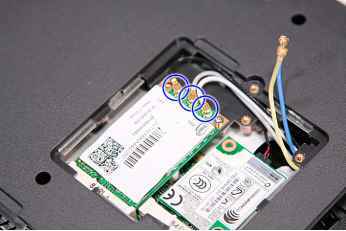 Remove the one screw B on the WLAN board to release the WLAN board. See Removing the Battery Pack on page 56. 2. See Removing the Expansion Slots Cover on page 65. 3. See Removing the 3G Board Module on page 66. 4. See Removing the WLAN Board Module on page 68. 5. Remove the one screw G securing the modem card. 6. Lift the modem board from the system. 7. 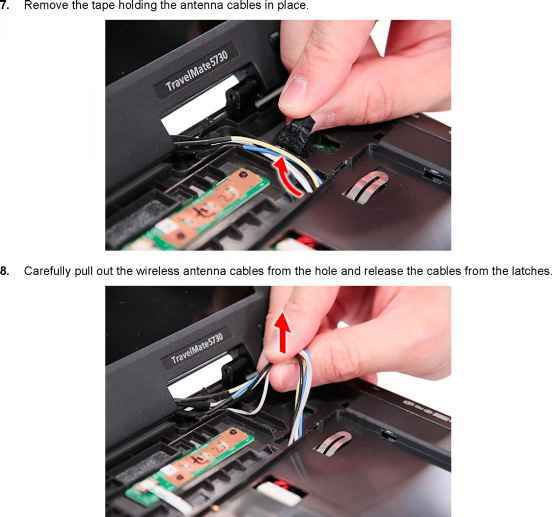 Disconnect the cable from the modem board. See Removing the Battery Pack on page 56. 2. See Removing the Middle Cover on page 72. 3. Remove the two screws A securing the keyboard. 4. Carefully pry loose the keyboard and turn it over on the touchpad area. 4. Carefully pry loose the keyboard and turn it over on the touchpad area. 5. Disconnect the keyboard cable from the main board to remove the keyboard. See Removing the Battery Pack on page 56. 2. See Removing the Lower Cover on page 60. 3. Disconnect the heat sink fan connector from the main board. 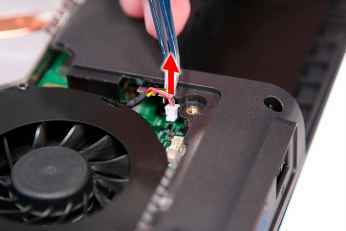 Remove the two screws B securing the heatsink fan module in place. 5. Carefully lift up the heatsink fan module. 5. Carefully lift up the heatsink fan module. 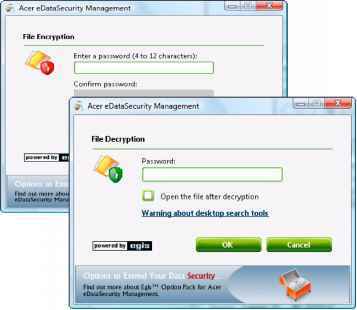 If the touchpad doesn t work, do the following actions one at a time to correct the problem. Do not replace a non-defective FRU 1. 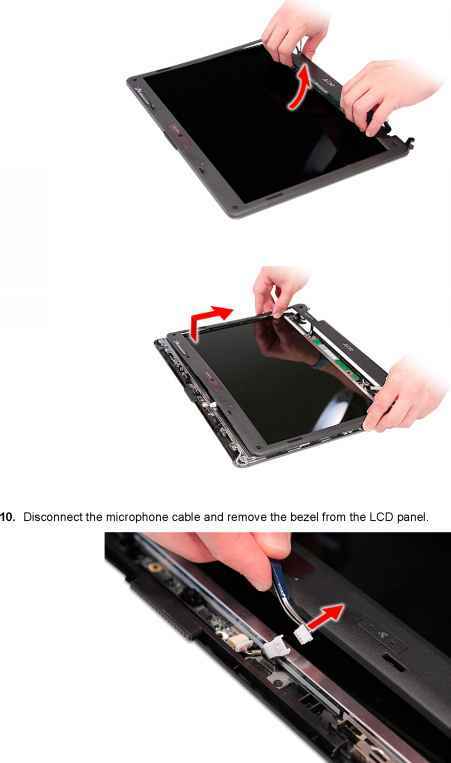 Reconnect the touchpad cables. 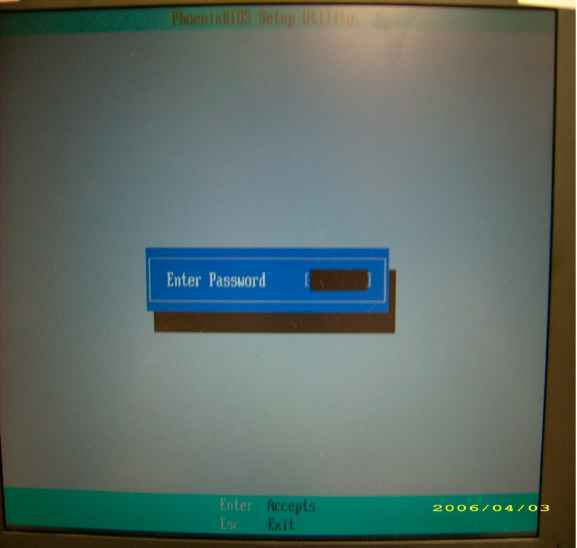 After you use the touchpad, the pointer drifts on the screen for a short time. This self-acting pointer movement can occur when a slight, steady pressure is applied to the touchpad pointer. This symptom is not a hardware problem. 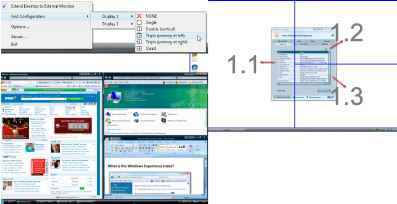 No service actions are necessary if the pointer movement stops in a short period of time.